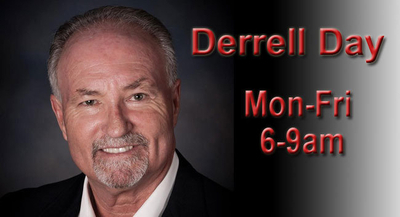 The Derrell Day Show -- WYOO 101.1 FM Panama City, Fla.
Derrell Day: Alright, we needn't look very far to our friends over in Europe, throughout Europe, with they're being just being deluged by refugees/hidden terrorists, as they encroach upon Europe, the same thing happening at our southern border. We can't even say the word 'radical terrorist,' 'Islamist terrorist.' Recently the French president was visiting the White House and uttered those words. They were censored, stricken from the audio record. You can't even say 'Islamist terrorists' in the White House, and we expect to fight this war against them. They are not a JV team; they are on the march. My next guest, former Congressman Pete Hoekstra was also head of the House Intelligence Committee. Pete, how are you doing this morning? Pete Hoekstra: I'm doing just fine. Thank you. Good morning. Day: Good morning. Good to have you again with us. Pete, we're not going to win this war if we can't even say the word. Day: We just released two bomb makers, expert bomb makers. Hoekstra: Yeah, I was going to go there, because I've been staunchly opposed to bringing those folks in Gitmo to the mainland. But I may be changing my position, because never did I believe that we would have a president who just because you know he can't put those prisoners in the United States, that he'd actually release those folks back into the fight. Hoekstra: – and believing that they're not going to end up back in the fight, targeting either Americans or targeting our friends in the Middle East or in Europe. I mean this is crazy. Day: And when some poor private from Kansas that loses his legs in a city he can't pronounce, John Kerry will say – well, he's not supposed to do that – that's what you'll hear from our secretary of state. Hoekstra: – by the Pentagon. Day: Right, says – look, their risk of going back to the fight is off the charts. Hoekstra: – and we're killing people and, what's that? Hoekstra: – Mosul, with over one-million residents. And you know terrorist organizations typically don't control geography, and here they do. They have increased since 2011/2012 the number of fatalities per year as a result of radical jihadism has grown from roughly 3,000, 3,500 per year to close to 28,000 per year. Day: Pete, they're printing their own currency. Day: This is not a rag, they're driving our Humvees, they're manning our armored personnel carriers. I mean they are, let me tell you something, I can understand incompetence at this administration, but this is beyond incompetence. And it's not like we will have lost eight years; it's like having, losing eight years of a fire that's burning and getting bigger every day. You know we're eight years behind. Hoekstra: – and you've got you know I think three of the former presidents, or three of the former secretaries of defense for this president all coming out and saying they strongly disagreed with this president about pulling out of Iraq, about you know going into Libya, and a number of the strategies that he's made. But the amazing thing to me on this is that none of them quit, you know none of them offered their resignation as this president, as this commander-in-chief was doing things that now they say – well you know we didn't agree with those policies, we fought those policies. And it's kind of like – well if you really thought these policies were bad for America, you really had an, you really have an obligation to quit your job and to let the American people know that we're going in the wrong direction, not to wait two, three more years later and then come back and say – well, yeah, those things didn't turn out that well and you know we told the president that we didn't agree with these strategies. Day: Right. Yeah, and I don't understand why they weren't more vocal either, and understanding also that it was career threatening, but if you have committed your life to protecting the United States of America, preserving and defending the Constitution, at some point, a military commander or not, you kind of have to say something. Hoekstra: That's right, because you know we are at much greater risk today here in the United States than what we were eight years ago. Europe is at much greater risk. Our allies are at much greater risk. And there is going to be a huge price to pay to roll back the gains of the radical jihadist movement for the next president. And I hope the next president takes seriously, takes more seriously this threat that is out there. But you know this president, this president (UI word) set the table, that as the next president actually confronts radical jihadists, this president will go around and start, you know in his post-presidency, will be talking about you know – I kept us out of those wars. Hoekstra: And it's actually – no, Mr. President, what you've done is you've set the table for a very, very nasty war with an empowered enemy, and you could have wiped them off the table, but you decided not to. Day: It would be like having Nazi Germany unfettered, giving them an additional eight years to Blitzkrieg across Europe, and then some president, whoever the president, would be able say later on – well, you know I kept us out of that World War II for a long, long time – leaving another generation to fight a much stronger enemy, much more [crosstalk over word]. Hoekstra: – the border region there, but never to give them a safe haven a couple of hundred miles away from Europe, never to give them the possibility of you know millions of refugees, that they could send with their radical jihadists moving into Europe, and those types of things; unbelievable where we are today. Day: Now the work you're doing at the Investigative Project on Terrorism, push us forward 18 to 24 months. What do you see coming at us? Hoekstra: Well [crosstalk over few words]. Hoekstra: Yeah, well I mean number one – we're not going to see any change in the next eight, nine months. So that takes the first eight months out of your 18 months. Day: The Saudis are already feeling a crunch in their oil sales, and I believe it's going to be the golden, the brass ring, to be plucked from the carousel. I think the terrorists want to establish Saudi Arabia as a base. Day: And I'm not so sure some parts of Saudi Arabia may not welcome them. Hoekstra: – working with the communities that are there. Day: And many of the countries of Europe are just simply opening the gates for them. Now just recently they're beginning to say this may not be as good an idea or as humanitarian as we thought. Hoekstra: Yeah, actually their governments are not. Hoekstra: – access and access into the United States. That's something we've really got to be worried about. Day: Right. Now the, you write that it's a, you know the threat is not just to Western civilization, but more specifically Judeo-Christian civilization. I mean this really is a holy war. I mean a lot of people don't like to say that, but it really truly is. It's forming up to be another Muslim-Christian war. Hoekstra: That's what they would like it to be. Hoekstra: And clearly they don't respect our values – the way we treat women, the way we respect you know diversity, they don't respect religious tolerance and freedom, they don't respect democracy and fundamental human rights. So it really does get to be, you know and you can't talk about this, it really does start moving towards a clash of civilizations. Hoekstra: Yeah, that's right, yeah. Day: – to begin to see where we really, it began to raise its head again. When was that, in the '70s? Day: '77 somewhere? And no, it's not a new thing and it's not going to go away tomorrow. And I don't know, my concern is that we don't have enough peaceful Muslim coalitions put together from Arab countries or countries around the world, that are really on the ground fighting the fight, because it's always, it seems like it's left up to us. Russia, when they come in and fight, they're simply there for their own self-interests. And I just don't, I don't know who's going to fight them. Hoekstra: Well but remember this, when I was on the Intel Committee, I visited and met with the leaders and the intelligence of the military of every country across Northern Africa – Morocco, Algeria, Tunisia, Libya, Egypt; we had rock solid relationships with each one of those countries. Each one of those countries was committed to defeating radical jihadists and they were willing to partner with the United States. Hoekstra: And what did we do? Hoekstra: We got rid of Mubarak, we got rid of Gadhafi; Tunisia is still kind of on the brink, you know right now they're doing OK, but it's going to be tough. But you know two of those major countries – Libya and Mubarak, we decided to get rid of their leaders, who were partnering with the U.S., and we made some of this mess. Hoekstra: Always good to be with you. Thank you.